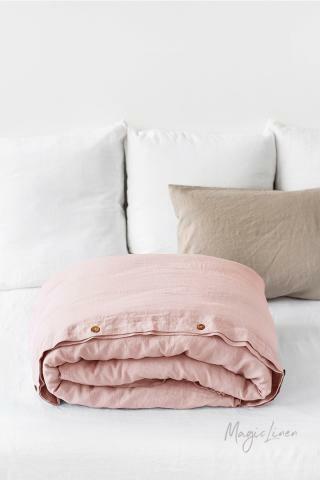 Linen fitted sheet in light pink color. Gentle and breathable linen sheets will become a staple of every modern bedroom. The natural thermoregulating and moisture-wicking properties of linen guarantee the feeling of comfort all year round. Fitted sheets have been pre-washed for maximum softness and durability.